Home > VoIP Support FAQ > VoIP Phones > How do I disable Ghost Calls on an OBIHAI OBi 10XX Series IP Phone? To disable Ghost calls on an Obihai IP phone, you will need to access the Web User Interface, by typing it’s IP address into your browser. Make sure your computer is on the same network as the phone! 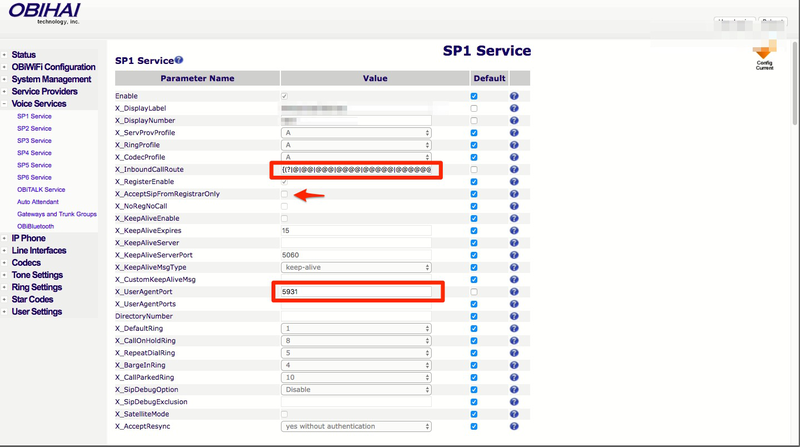 Once you are online, navigate to Voice Services > SP ’X’ Service. You will also need to change the X_UserAgentPort to a number other than 5060. You can see a list of possible ports here, to check they don’t conflict with other services on your network.